Watch CHEERSPORT Nationals 2019 LIVE! It’s that time of year where teams are getting ready to take the mat in Atlanta, Georgia at one of the biggest all star cheer competitions of the year. The event will be taking place February 22nd through the 24th! The 2019 CHEERSPORT Nationals is always filled with excitement and the best of the best teams will be taking home bids to The Summit, The D2 Summit, The U.S. Finals and The Cheerleading Worlds. Every eligible CHEERSPORT Champion competing in bid eligible divisions will be guaranteed at least an At-Large bid to The D2 Summit and The Summit. The 2019 CHEERSPORT Nationals will be handing out a total of 28 Worlds bids. Take a look at the bids details! The event kicks off Friday evening with CHEERSPORT Nationals: Friday Night Live. Level 5 teams will take the stage to help raise money for St. Jude Children’s Research Hospital! The fundraiser isn’t about hitting a perfect routine. It’s about spreading awareness and leading the fight to end childhood cancer. Donation booths will be set up at the competition and fans viewing the competition on Varsity TV can donate also. Beginning on Saturday, the competition kicks off and Levels 1 through 5 will be competing for their chance at a CHEERSPORT title and a jacket. This weekend is also the FIRST round of the Varsity All Star Triple Crown! Reigning CHEERSPORT Champions To Look Out For! Last year, Cheer Extreme Senior Elite dominated on of the largest divisions at the competition. The Senior Large Level 5 division is always jam packed with incredible skills. 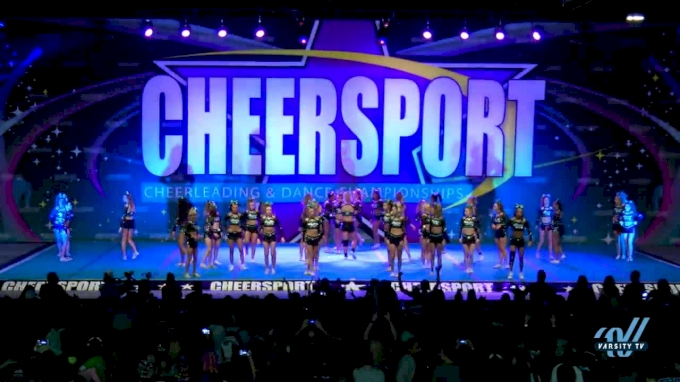 Will Senior Elite do it again, or will there be a new champion crowned? 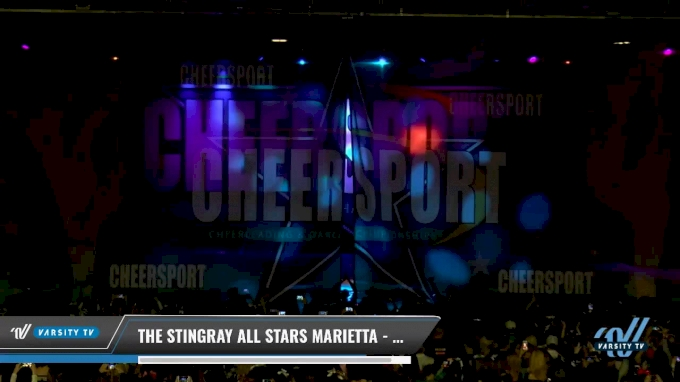 The Stingray All Stars Marietta Steel took the title in the Senior Coed Level 5 division in 2018 and this year, they're back for a repeat! Steel has had an impressive season so far and we can't wait to see them take the CHEERSPORT stage. Will they take back-to-back titles? 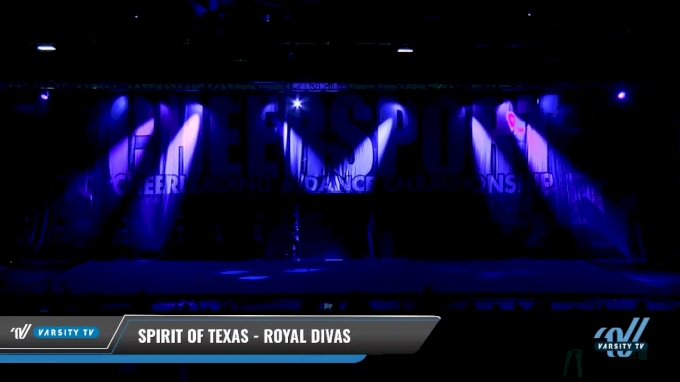 The Royal Divas from Spirit of Texas put out a fast paced and high energy routine that sent them to the top of the Senior Medium Level 4 division. This is a team you definitely don't want to miss take the mat! You don’t want to miss some of your favorite teams take one of the biggest mats known to all star cheer! Watch the 2019 CHEERSPORT Nationals all LIVE right here on Varsity TV!